After a long day, it can be nice to come home and grab a frozen meal from the fridge for a quick and easy dinner. If you’ve been stocking up on P.F. 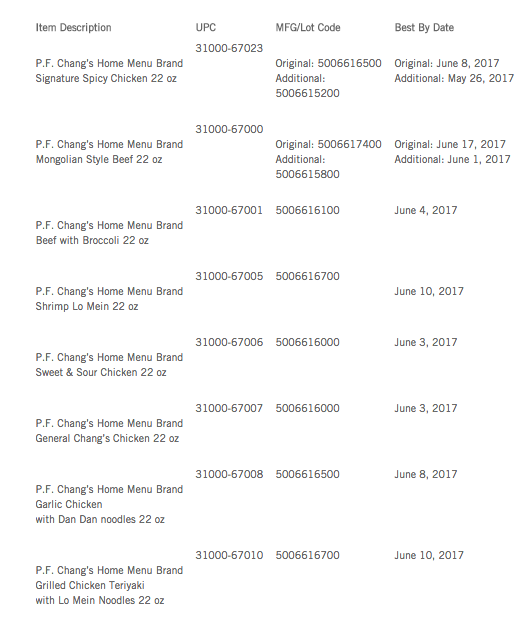 Chang’s frozen meals, you might want to double-check they aren’t included in a recently expanded recall of more than 195,000 pounds of frozen dinner product that may contain metal fragments. 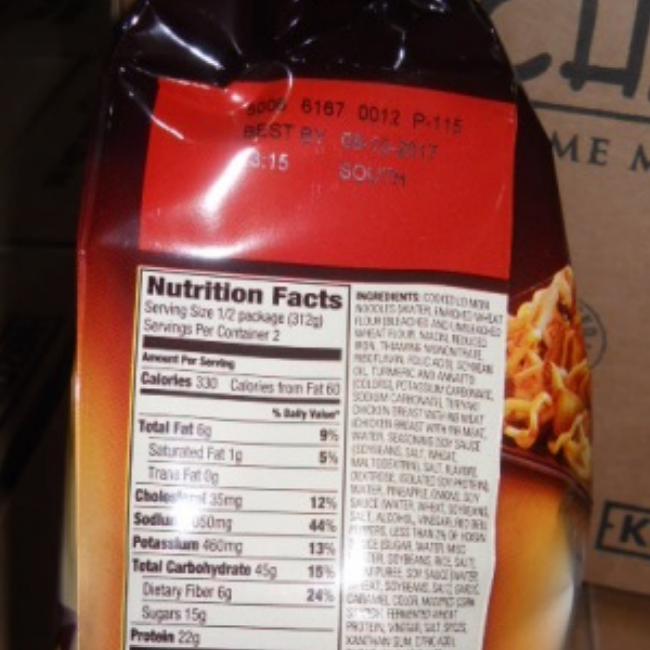 ConAgra Foods announced over the weekend that it would voluntarily recall six additional P.F. Chang’s Home Menu Brand products after it was determined that metal fragments from the assembly line might have ended up inside the meal packaging. The expanded recall comes two weeks after ConAgra first recalled two P.F. Chang’s frozen meals — Spicy Chicken and Mongolian Beef — over the possible contamination. The company says that on July 14, it was notified by the supplier of additional production lots of sugar that were impacted. The metal fragments range in size from two to nine millimeters, are curled, malleable and shiny. In all, the expanded recall includes 191,791 pounds of frozen products, bringing the total recall to 195,597 pounds of products, according to a notice posted with the USDA Food Safety and Inspection Service. ConAgra says there have been no reports of injuries related to the issue. Affected products can be identified by a “use by” date and case code. The products subject to recall also bear establishment number “EST. 233” or “EST. P-115” inside the USDA mark of inspection. These items were shipped to distributors and retail locations nationwide.